Writer's Blog: My Writing Process - Many secrets may be revealed. My Writing Process - Many secrets may be revealed. I've been invited to write about my writing process by M.A. Chiappetta, who has a blog at http://chippermuse.wordpress.com. So, don't forget to stop by her blog, and see what others have to say about how and why they write. Many secrets may be revealed. The writing process is different for everyone. Some writers are plotters and some are pantsers, some write full-time, some only part-time, some write solo while others are involved in writer’s groups, and the list goes on. Basically, what it comes down to is that all writers have a system that works for them, and even though it may take a while to figure out what that might be, once a writer finds their niche, there is no stopping the creative flow. I write because I must. There is no other way to put it. There is a need inside of me that takes over my subconscious if I ever put it off for too long. I dream storylines and not only when I am asleep. That’s right. If you notice that I appear to be dozing off during a conversation, I am really writing a novel in my head. Don’t think I don’t get in trouble for it. Sometimes church sermons can be dangerous. Someone will look into my eyes, usually my husband, and see my characters running around in there. No kidding. I can’t say that I really have any peculiar formalities. Basically, I check my social media for updates on what is happening in the world of literature. Next I check all of my email accounts. Since I am an editor as well, I have an Alpha Editing email, an author email, and then there is my college email. Yes, I am back in school, trying to finish my master’s. This can be quite a challenge sometimes when it comes to getting things down on paper. I am most productive either early in the morning or late at night. Since I have four boys, a husband, and five dogs, my afternoons are often quite full. After I have checked in with the outside world, I plug in my flash drive and get to work. Although some writers do participate in writer’s groups for input and assistance, I prefer to go solo. 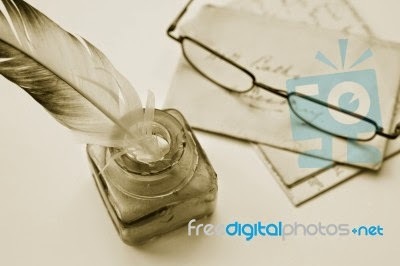 I love to write, and that is why I write; I simply prefer the scribbling’s of my heart to writing for the market. I do brainstorm often with my husband, but that is as far as I go with help on ideas. Surprisingly enough, he has some astonishing ideas. Where do you think I got the Mexican Mafia from? (wink). I know many people who take great pains in writing a detailed outline before they get started. Some writers tell me it takes them many years before they finish and some finish their outlines in just a few months. I am a pantser. For those of you who may not be familiar with the term, a pantser is a writer who doesn’t plan. In fact, I am one of the most unorganized writers I know. I usually dream a storyline or one will come to me during my momentary lapses in attention. I have a special file where I keep all my new ideas, just so I don’t forget them. I then sit at my Mac, put my fingers on the keyboard, and start to type. Sometimes my characters’ choices even surprise me. I start out with a basic idea and just keep going. Sometimes I can write up to 10,000 words in one sitting. I generally average 3 to 4,000 words at a time, but if I have a really hot idea, I will hit 6 or 7,000 words at a time. I can even type while my kids are talking to me. Yes, it is an acquired skill. I am also working on book six of The Easter’s Lilly Series, and that book is called The Last Fall. This book features Junior’s cousin and best friend Octavio Montiago. Don’t worry, folks! Lilly is still there making trouble for the brothers and Junior and Tess are still up close and personal. Although there is a book two for Ivy Vines, Visions in my future, my next project is going to be a dystopian, young adult novel. Thus far, the novel is in my new ideas file, but as soon as the other two books are complete, I will begin my new journey. So, plotter or pantser, full or part-time, solo or group oriented, the journey is before you. Just remember that sometimes the back-up plan becomes the plan, so don’t put off what you can write today until tomorrow.